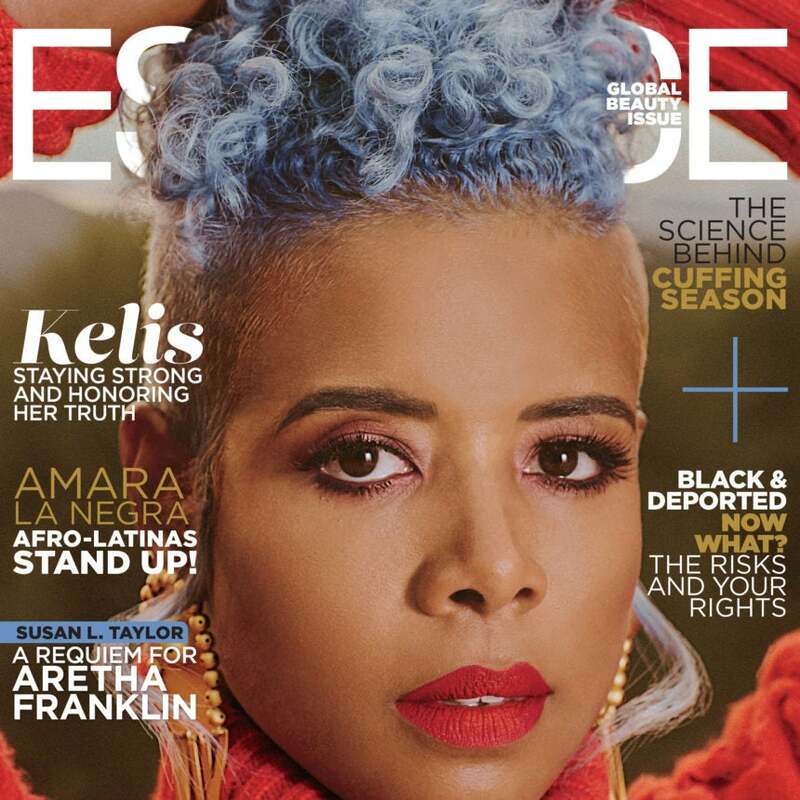 #Kelis is coverstar for Essence global beauty edition..
For October, Kelis graces the cover of ESSENCE’s Global Beauty Issue where she gets candid about taking a break from the spotlight and working at her own pace. “One of the biggest things I reiterate is self-care,” the singer told ESSENCE. Fame can be a tricky beast for celebrities, especially in an age where social media is king and access to their private lives can result in less than pleasing tabloid stories. It’s no wonder, then, that stars like Kelis choose to keep certain parts of their lives private. Still, part of Kelis’ self-care was taking a much needed break from the music industry’s glaring spotlight. The singer said that she knew exactly what she needed to do in order to maintain her peace. The 39-year-old mother of two knew that in order to be truly happy, she had to grow into the powerhouse she’s become. “The only way you are really ever going to be truly content is if you are constantly evolving,” she said.